Play as the Pathfinder - a leader of a squad of military-trained explorers - with deep progression and customisation systems. 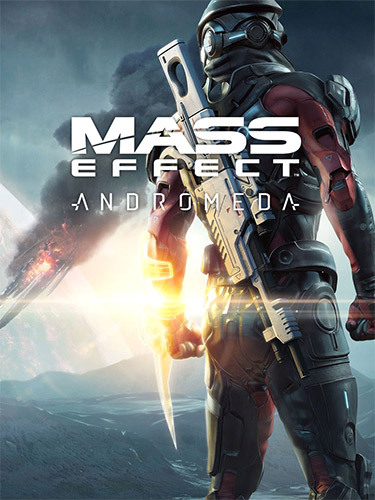 This is the story of humanityâ™s next chapter, and your choices throughout the game will ultimately determine our survival in the Andromeda Galaxy. So you need to download less than 600 MB to get an updated repack. This new installer should fix problems with CRC errors at the end of the installation. Also you can simply rehash old torrent with a new one. Just like I thought, the main reason for "43 broken files" error is "Creators Update" for Windows 10, which is pushing slowly by Microsoft since April. I'm yet to identify where those motherfuckers break compatibility, but there is a simple solution, which I recommend to use for all my repacks since now: run installers in compatibility mode set to Windows 7. That's it. Justo como pensé, la razón principal del error de "43 archivos rotos" es "Creadores de actualización" para Windows 10, que está presionando lentamente por Microsoft desde abril. Todavía estoy por identificar donde esos hijos de puta rompen la compatibilidad, pero hay una solución simple, que recomiendo usar para todos mis reempacos desde ahora: ejecutar instaladores en modo de compatibilidad configurado en Windows 7. Eso es todo.